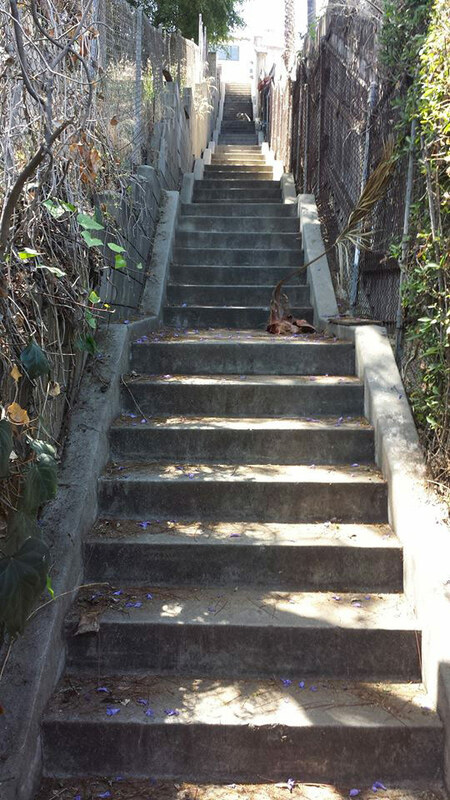 Alpha Running is organizing the Silver Lake Stair Climb this Saturday, April 30 starting outside of the Astro Family Restaurant on Fletcher Drive at 7 a.m. 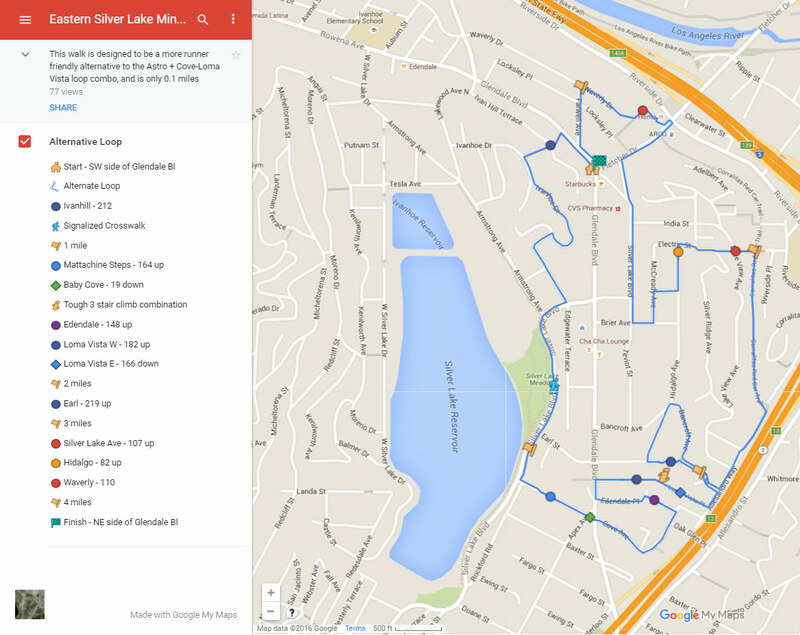 The group run will take participants on a three-hour tour through some of the neighborhood’s longest hidden staircases located east of the reservoir. The “Eastern Silver Lake Mini Loop,” pictured above, is described as “moderately challenging”, roughly four miles long with an elevation gain of over 800 feet. L.A.-local Dan Gutierrez of Alpha Running will guide the group of runners through his interactive map that even has the steps counted and photos of each staircase from Gutierrez’s Facebook page, you can visit it here – https://www.facebook.com/Dan.A.Gutierrez. It’s a free event, though it does require registration via the Alpha Running website. Alpha Running is a member-based organization run out of Pasadena that holds a variety of training sessions and social events around the L.A. area for casual and competitive runners. Getting to the restaurant is very easy coming from Interstate 5. Just exit on Fletcher and head south and it is near the corner of Glendale Boulevard and Rowena Avenue when they meet with Fletcher. If you’re coming from Sunset or the 101 fwy, head north on Glendale until you get to the aforementioned three-way intersection.